Reading has been known to give us a lot of benefits, such as mental stimulation, reduces stress, you gain more knowledge and most of the times, the book that we read are free. In our fast-paced world, there is hardly time to do what must be done—let alone read books. No wonder fewer people are reading books, and far fewer still are reading motivational books. Despite the glowing promises on the cover, many believe that it is a false assurance. It is a pity that motivational books have a poor reputation with some people. Self-help/motivational books are indeed full of extremely helpful advice that inspires and aids countless people, but there are also those with ideas that are of doubtful value or are possibly even harmful. Even famous books can have dubious parts, which means that readers of self-help/motivational books must not just believe everything they read. However, it is no simple matter to separate the grain from the chaff. Read our collection of inspiring stories, gathered from different sources, and let it move your heart. 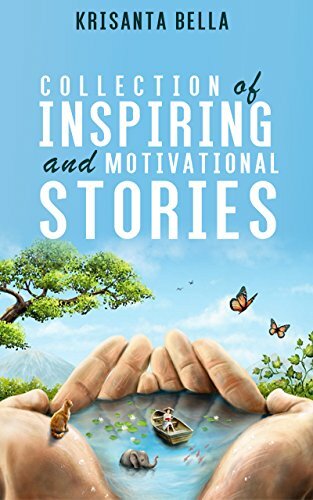 This is the Kindle version of INSPIRATIONAL STORIES : Collection of Inspiring and Motivational Stories (Inspiring Stories, Inspirational Stories, Inspiring Short Stories, Motivational Stories, Short Moral Stories) that you can also download and read on your computer and mobile phone. Kindle books are DRM protected and therefore, unlike ebooks that are in PDF or ePUB format, you cannot read this ebook without the official Kindle apps.